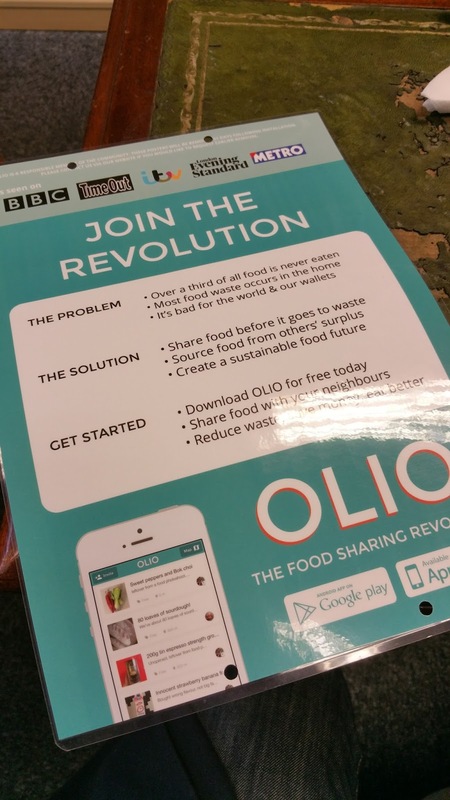 L4G South West Herts District: Olio : Shall we stop food wastage? There is a lot of food that goes to waste. I think you'll find we are all guilty of it... 2 for 1 deals... eyes a little bigger than our stomachs... food shopping when we're hungry! (don't do it, top tip). Well what if you could pass the food on to a neighbour (or someone close by) who would love to have it? That in essence is the purpose of Olio. Take a picture, say what it is, where it can be picked up and at what time and post. Then others using the application can browse items that are available and make arrangements to collect. It is also suitable for non food items as well. 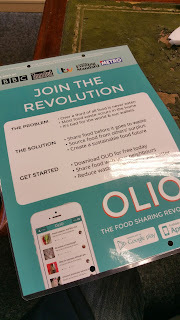 +Neal Emery from +Reason News who is the proprietor of the Reason Coffee Shop and Book Store in the Parade (Watford High Street) is behind the initiative to get Olio off the ground in the #Watford area. Neal is waiting on a promotion and marketing pack to really kick start the project off locally as part of the Sustainability Watford project (FB Group link). Once the pack arrives look out for more news and communications about how you could participate in the initiative. If you run a shop or a cafe and are handling food products or are prepared to operate as a drop of / collection point then this could be another way to join in. If people are more comfortable adding items to Olio but less inclined to have people come to their house then this is another great option. Imagine 50 outlets in Watford and the surrounding area enabling us to get surplus items into the hands of those that need them? In terms of community building this is yet another opportunity for people to talk to others... come out of their houses, pop into local community shops. For those running local businesses to offer another service and bring people into their premises. There really are just winners here. Please do visit the Olio website here... also download the App from the site... and... take a look at some of the food wastage videos here... it really is a huge deal, this is just one way we can all play a small part in reducing waste and helping people at the same time... if it is going to be ... it is up to WE!